Now, the trailer provides no clues about how that fourth “Avengers” movie is going to play out — unless you didn’t know that this movie existed, in which case you will be surprised to discover that Spider-Man is alive again. But while this first tease for “Far From Home” doesn’t do much looking back, it does appear to give us some clues about where the MCU is going once the battle with Thanos finally concludes in a couple months. The trailer is pretty light on plot details in general, but it does introduce what we assume are most of the major players. 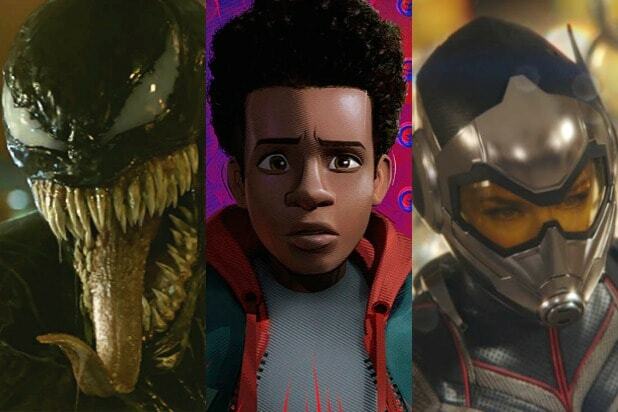 Including five new villains: Mysterio (Jake Gyllenhaal) and a quartet of monsters known in Marvel Comics lore as the Elementals. Let’s start by talking about Mysterio for a minute. 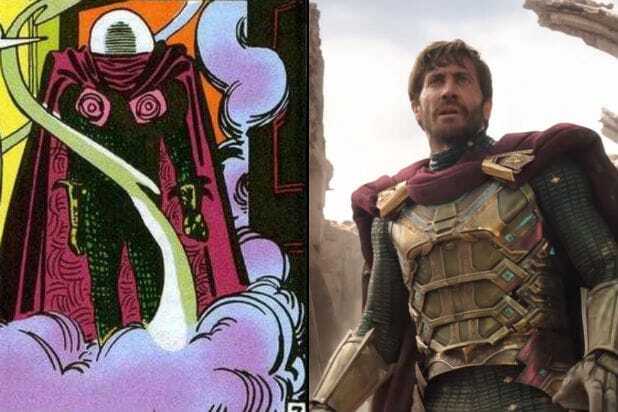 Several characters have operated as Mysterio, but the most famous one is Quentin Beck, Gyllenhaal’s character in “Far From Home.” Created by Stan Lee and Steve Ditko back 1964, Beck was a special effects technician and stunt man who dreamed of becoming a movie star in his own right. When that didn’t pan out, he realized his skillset could also be useful in a life of crime, so he created his trademark fishbowl-and-cape outfit and began pulling off robberies using tricks he used to deploy in Hollywood: literal (purple-green) smoke and mirrors, poison gasses, flashy tricks of light, that sort of thing. In his first battle with Spider-Man, he tried to frame the webslinger for robbing a museum, but was exposed and went to prison holding a serious grudge. Mysterio returned as a charter member of the supervillain team Sinister Six, and over the years attempted several revenge schemes against Spidey. He later also became an enemy of Daredevil (and was even involved in the chain of events that led to Karen Page’s death) until — and this is where it gets weird — he makes a deal with a demon, commits suicide and goes to hell, is sent back to earth from Hell, gets involved with a bunch of other crazy schemes, pretends to reform, and well, you get the idea. Fun fact: Though he didn’t appear as Mysterio until 1964, it was later stated that a group of aliens Spider-Man fought in “Amazing Spider-Man” #2 were actually criminals in disguise, one of whom was Beck. Which technically makes him the third Spider-Man supervillain after the Vulture and Tinkerer, who also debuted in “Amazing Spider-Man” #2. Given that Vulture and the Tinkerer both appeared in “Spider-Man: Homecoming,” it looks like the Marvel Cinematic Universe version of Spider-Man is getting his original rogues gallery somewhat in the order he got them. The main thing to know about Mysterio, though, is that he’s not some magical or cosmic being. He’s just a bitter guy nursing a serious inferiority complex, who never quite lives up to his ambitions in either legitimate or criminal enterprises, using tricks to seem more special than he really is. We’ll circle back to that in a moment. The Elementals are more in line with the madness of the recent MCU. Their powers are real, and they’re insane. As you probably noticed in the “Far From Home” trailer. 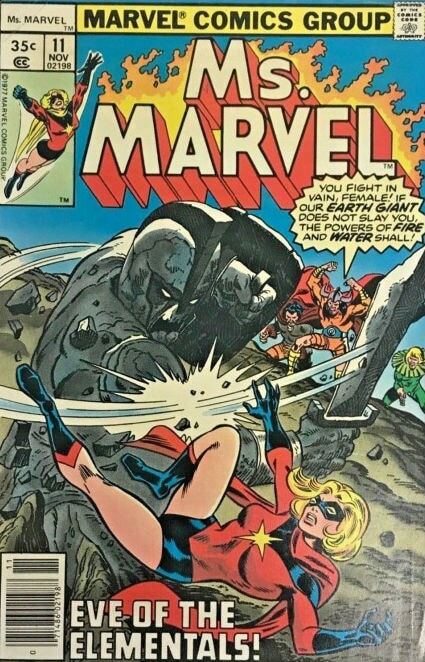 Created by Tony Isabella and Val Mayerik in 1974, the group first appeared in Marvel’s anthology horror series “Supernatural Thrillers.” In the comics, they’re thousands-of-years-old evildoers from another dimension who became immortal after mastering the power of natural forces (hence their name). Their leader, Hellfire, controls fire, Magnum controls rocks and minerals, Hydron controls water, and Zephyr controls air. Once upon a time, the four of them ruled a kingdom on our Earth, but were deposed when they tried to conquer ancient-ancient-ancient Egypt, and were banished from this dimension. Marvel hasn’t made much use of them since 1979 — their most recent appearance saw Zephyr team up with Thor for a completely bananas cosmic adventure that I won’t bother trying to describe here. 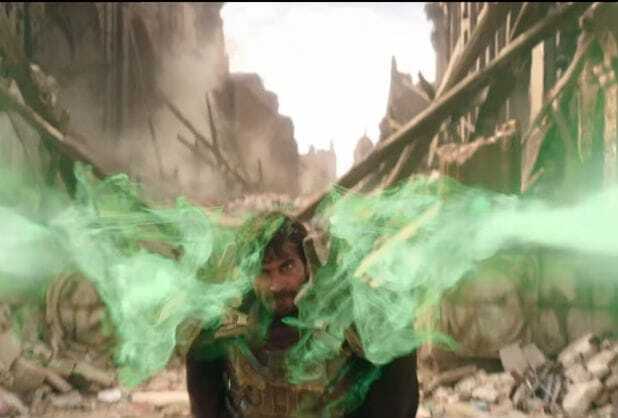 Given that Mysterio — who everyone knows is basically a con man using misdirection and special effects to commit crimes — is a big part of “Far From Home,” there’s two major possibilities for what the role of the Elementals is here. In both of these concepts, Mysterio is using them to try to pretend to be a hero. The first idea is that the Elementals are themselves fake. Just more insane tricks by Mysterio, a switcheroo similar to what “Iron Man 3” did with the Mandarin. This plot would make “Spider-Man: Far From Home” a sort of fun little side adventure to contrast with whatever super dramatic stuff is going to go down in “Avengers: Endgame,” akin to how Marvel used the “Ant-Man” movies after the last two “Avengers” flicks. It would make sense for the next phase to go in that direction, because just doing more space stuff in a post-Thanos MCU could easily feel like a retread. They’ve spent a lot of years getting us used to some pretty wacky things in the MCU, and so now would be the right time to go really deep into weirdest parts of the Marvel Comics universe. But, hey, until we know how “Avengers: Endgame” plays out, it’s hard to make a firm guess about what “Spider-Man: Far From Home” has in store for us. But whatever it ends up being, it certainly doesn’t look like it will be boring.